Comet Street Kids reading books follow the adventures of Rav, Asha, Tess and Finn, four of the residents of Comet Street. There are 72 exciting stories in the series that children won't be able to put down. 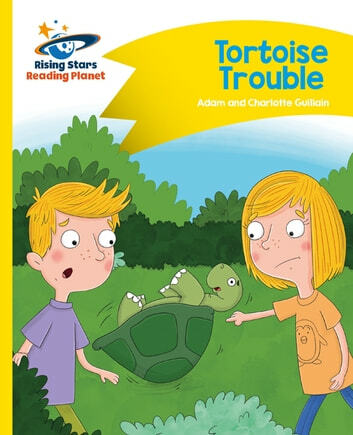 Finn and Tess are feeding tortoises at the wildlife park when a thunderstorm starts – and they find themselves swept away! Finn and Tess land on an island full of wild animals and soon come across an animal who desperately needs their help.